The Aspiring Home Cook: My very first bake-along! While I was browsing through some blogs last night while waiting for A to return from work, I happened upon April's blog. 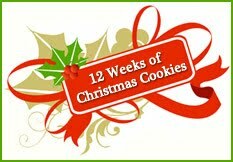 She is hosting an amazing bake-along called "12 weeks of Christmas cookies". This is the very first bake along I'm participating in and it promises to be fun. So be sure to stop by and check on what we're upto. Visit April's blog Abby Sweets for more details if you'd like to join in. I'm in the group too and so excited to meet everyone on Friday! Can't wait to see what you baked up! I'm really excited too ... oh and btw I love u'r food blog - just had a glimpse of it and I'm gonna go back to finish reading it ... the chocolate cannolis look delicious.